Good things have been happening in the church over the last several decades. We’ve seen a surge in church plantings, we’ve watched as more and more mega and gigachurches dot the landscape, and we’ve heard encouraging accounts of kingdom growth (in the organized church and in underground house churches) in other countries. Fewer than one in four Americans (24 percent) now believe the Bible is “the actual word of God, and is to be taken literally, word for word,” similar to the 26 percent who view it as “a book of fables, legends, history and moral precepts recorded by man. “This is the first time in Gallup’s four-decade trend that biblical literalism has not surpassed biblical skepticism (emphasis added). We’re seeing a general downward trend in our nation regarding the role of the church and the authority of Scripture. But isn’t it the nature of the kingdom of God to grow and to impact its environment? Jesus taught that it is. He told them another parable: “The kingdom of heaven is like a mustard seed, which a man took and planted in his field. Though it is the smallest of all seeds, yet when it grows, it is the largest of garden plants and becomes a tree, so that the birds come and perch in its branches.” He told them still another parable: “The kingdom of heaven is like yeast that a woman took and mixed into about sixty pounds of flour until it worked all through the dough” (Matthew 13:31-33). Like a mustard seed and yeast, the kingdom of God is designed for growth and impact. We’re the light of the world, the salt of the earth. But to what extent are we making a difference? Where is the effect? It’s a fair question. Surely we see it in the transformation of individuals and families. And the salt of Christianity continues to impact many communities for good, here in the U.S. and around the world. But there’s room to grow. Even as the church continues to do good in the world for Christ, what can we do to increase our impact? Let me suggest one step any church can take to enhance its impact—to raise up disciples who make disciples. It’s not the only solution. It’s simply one of many. It’s a step that can be taken almost immediately, a step designed to work in the background in many ways, even as a church continues to do the good things it does. 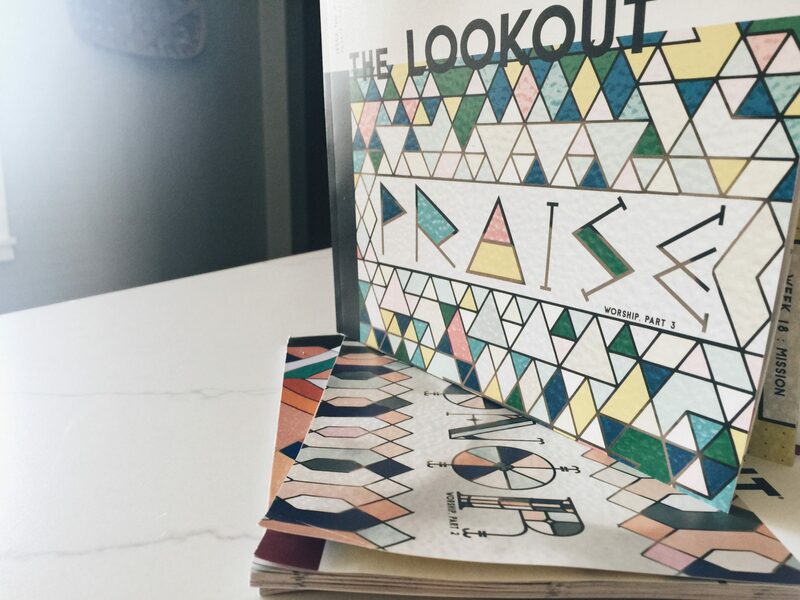 Throughout the year, place copies of The Lookout into the hands of every adult member of your congregation. Challenge them to use The Lookout individually and in small group settings. Encourage them to draw near to God by following The Lookout’s Annual Bible Reading Plan. Help them grow in discipline and knowledge as they study through the whole of Scripture every six years using The Lookout’s weekly Bible study tools. Assist them in their growth toward Christlikeness as they read articles every week designed to help them pursue Christ’s mission and emulate Christ’s character. Using The Lookout this way creates a foundation for personal growth, an undercurrent of spiritual development that occurs week after week, month after month, and year after year, as the church continues to grow and make an impact on its environment. Next StoryAnd Down the Stretch They Come!